Start your holiday literary party off to an awesome start with this amazing sale from my publisher, JOLLY FISH PRESS. You can have my monsters and more, all for half price!!! You’ll be celebrating long after the holidays have passed with your very own copies of FROM THE GRAVE and INTO THE SHADOWLANDS. Don’t miss out on the MAYHEM! Happy Book Birthday–INTO THE SHADOWLANDS!!! Come celebrate with me at The Novel Neighbor in St. Louis on October 14 from 4-6pm. Or a week later, October 21, at Main Street Books in St. Charles from 2-4pm. There is something for everyone: suspense, adventure, a blossoming romance, and some truly corny humor from a two-headed gargoyle. Charming, scary, and imaginative. Perfect for the little ghoul in your life. A wonderful sequel! I am Team Frank all the way, and there were so many twists and turns in this plot that it would strike fear into the heart of any self-respectful monster! Kids will devour this! Scary on! There has never been a finer collection of monsters, ghouls, and other assorted creatures of creepiness in one volume. And never have they struggled against type with such pathos to do what they believe is the right thing in the face of condemnation. Hurrah! 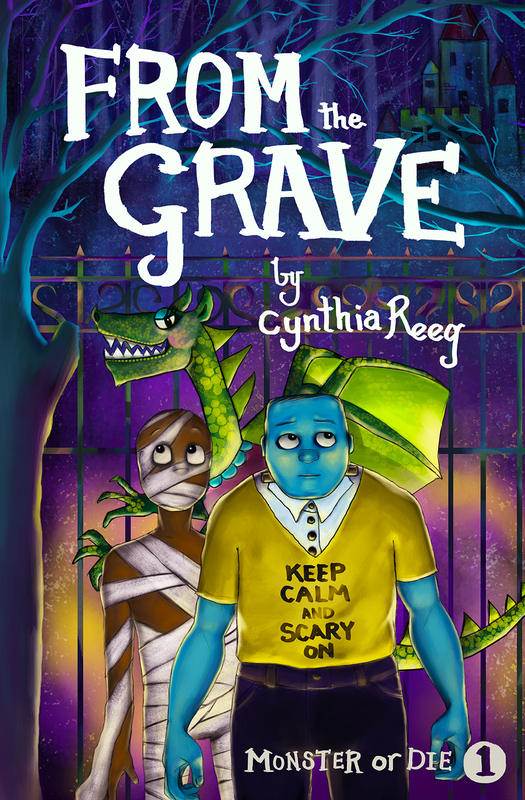 This is a lovely sequel to FROM THE GRAVE and is part of a great middle grade series about “monstering,” inclusivity, fitting in, friendship, loyalty, and fighting for what you believe in. I was surprised by how touched I was by Malcolm’s transformation in this story. 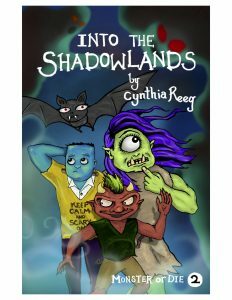 Read the first book, FROM THE GRAVE, this summer just in time for INTO THE SHADOWLANDS to come out at Halloween! The MONSTERS Are ONE Day Away!!! Tomorrow, October 10, is THE day!!! Monster mayhem will be unleashed on the world for a second time. It will be time for more Bunion Baloney and Crud Crumb Pie. Time for more bad jokes from Stan and Dan. Time for more Fiendful Fiends Academy drama. Time again to hang out with old friends like Frank & Oliver and to meet new Uggarland characters as well. Tomorrow is also the LAST day for the GOODREADS Giveaway. Win a signed copy of both FROM THE GRAVE and INTO THE SHADOWLANDS!!! Don’t delay–enter today! 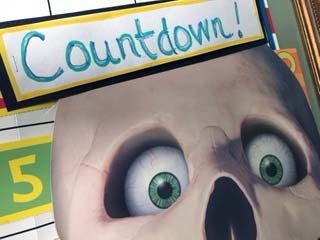 Monster Countdown at FIVE Days!!! Wow! I can’t believe it’s only FIVE more days until INTO THE SHADOWLANDS launches! I hope you’ve pre-ordered your copy. If not, I’ll include some links below. Plus, there are also GIVEAWAYS happening now that you should check out. It’s less than a month away from the first book signing for Book 2: Monster or Die, INTO THE SHADOWLANDS! I will be at The Novel Neighbor in St. Louis from 4:00-6:00 pm on Saturday, October 14. That gives you plenty of time to grab this spooky read before Halloween. There will be monster swag for the taking and monster treats for eating. I’ll read an excerpt and be happy to answer all questions monster-related. If you can’t make it on 10/14, the monsters return on Saturday, October 21 to Main Street Books in St. Charles from 2:00-4:00 pm. It will be a repeat performance of all things monsterly. Hope you can make one of these–and get your MONSTER on!!! Draw Your Own Monster–And Win a Book! The monsters are joining art school! Local artist Todd Tevlin‘s class on HOW TO DRAW MONSTERS will include a chance for students (7-11) to win copies of FROM THE GRAVE and INTO THE SHADOWLANDS!!! Each student will be given a 20% discount to buy the books at THE NOVEL NEIGHBOR where the classes will be held. Hurry and sign up. Class size is limited. Don’t miss your chance for mayhem! 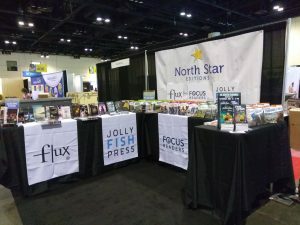 School Library Journal Review–Something for Everyone! With permission from SCHOOL LIBRARY JOURNAL I’m printing a copy of their review of INTO THE SHADOWLANDS. The review is in their current August issue. REEG, Cynthia. Into the Shadowlands. 200p. (Monster or Die: Bk. 2). Jolly Fish Pr. Oct. 2017. pap. $14.99. ISBN 9781631631344. The Monsters Have Invaded Orlando! INTERNATIONAL LITERACY ASSOCIATION 2017 CONFERENCE! It’s hard to believe that in exactly three months from today–October 10–INTO THE SHADOWLANDS will make its debut! The Uggarland monsters will once more be on the loose and making mayhem. The second book in the MONSTER OR DIE! series continues to highlight issues of diversity and inclusion. author of It’s a Mystery, Pig Face! If you want a haunting read this summer, pick up a copy of FROM THE GRAVE. You’ll be all set to join the continuing mayhem with INTO THE SHADOWLANDS in October! And sign up on my website to receive the latest monster updates. There will be giveaways! INTO THE SHADOWLANDS Cover Reveal!!! 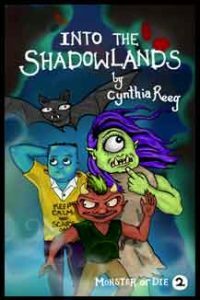 Troll Malcolm McNastee and misfit Frankenstein Frightface Gordon—middle school monsters at Fiendful Fiends Academy and long-time enemies—venture into the infamous Shadowlands to prove their monster worthiness. Too quickly they discover that the mysterious world between Uggarland and the humans holds horrors worse than any nightmare, and if they make it out alive, they’ll undoubtedly not emerge unscathed! 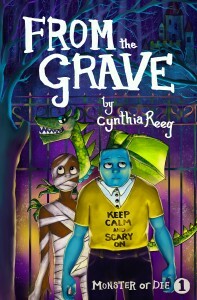 Thanks Middle Grade Minded for spotlighting the latest monster adventures! The video works best when the AUTO button is off. Simply click on NEXT to advance the screen. Scene highlights and abridged text from the beginning of the first Monster or Die book are featured. If you’d like the read the entire first chapter of FROM THE GRAVE, click on the title. for any monster updates here on my blog. You’ll want to know if there are any giveaways or monster sightings near you! FROM THE GRAVE Don’t miss any monster updates!!! Celebrating World Read Aloud Day 2019!! !